Crafted with an art handed down by five generations, this wild agave blend mezcal is a gift from ancient times. 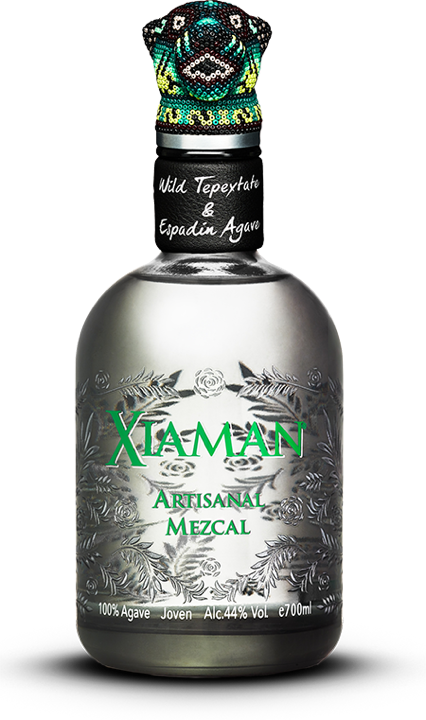 Sweet, aromatic and smokey, authentic, yet elegant: Xiaman Mezcal will appeal to all your senses. The manufacturing of Xiaman Mezcal is strictly “artesanal”, which means according to tradition and specific rules. With 44% alcohol content, this “ensamble” -roasted Tepextate & Espadín blend is of the highest quality and meets all standards set by the Mezcal Regulatory Council. Xiaman Mezcal is a very sensual spirit dedicated to detail and quality. Stories are built around experiences and anecdotes, and thrive on our memories. Here is our story, the story of Xiaman. Learn more about how mezcal is made and what makes Xiaman so extraordinary.